Customers only have to spend AED200 at Sahara Centre outlets to receive raffle coupons for the draw on March 24. 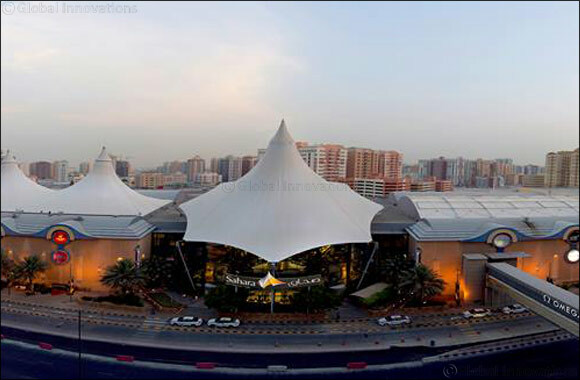 Sharjah, United Arab Emirates, 19 March 2019: With Mother's Day around the corner, this is the perfect time to shower your love for your mother with Sahara Centre, Sharjah's leading retail, dining, entertainment and leisure destination, giving you added reason to celebrate this momentous occasion. From March 10 to 24, 2019, shoppers at Sahara Centre will receive a raffle coupon upon spending only AED200 to win one of eight home store gift vouchers worth AED5,000 each for a home make-over. Furthermore, female customers who spend AED200 between 10 AM and 1 PM have the opportunity to double their chances of winning as they receive two coupons instead of one. The digital draw will be held on March 24 at 7 PM to select the eight lucky winners in the presence of a representative of the Sharjah Economic Development Department. In addition, Sahara Centre is also hosting a Mother's Day Social Media campaign from March 10 to 24. All that shoppers have to do is to take a picture of any product that their moms love from any of the retail stores in Sahara Centre, post with the hashtag #momlikesthis as well as tag their friends to win a home store voucher worth AED200 for home furnishings. A random draw will be held, and 10 winners will be announced on Sahara Centre's social media platforms on March 25. Sahara Centre regularly hosts such rewarding campaigns to delight shoppers and visitors, assuring a truly memorable and rewarding experience on every visit. Now, with the Mother's Day campaign, there is even more reason to plan your visit to Sahara Centre.